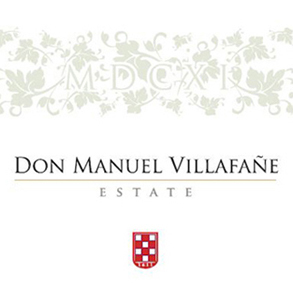 The Villafañe family has been in the wine business for almost 400 years. In 1611 Don Manuell Villafañe came to Argentina from Spain as a soldier to fight against the English pirates who attacked Spanish ships. Later he settled in South America as a farmer, and became a pioneer of winemaking in Argentina for being one of the first people to plant vines on that land. The objective at that time was to provide wine for the priests of the church and much later for the settlers, who came to the ‘New Word’ to take advantage of the new opportunities. Mendoza is by far the largest wine region in Argentina. Located on a high-altitude plateau at the edge of the Andes Mountains, the province is responsible for roughly 70 percent of the country's annual wine production. The French grape variety Malbec has its New World home in the vineyards of Mendoza, producing red wines of great concentration and intensity. Altitude is one of the most important characteristics of the terroir in Mendoza. Warm, sunny days are followed by nights made much colder by westerly winds from the Andes. This cooling-off period slows ripening, extending the growing season and contributing rich, ripe flavors to the grapes. While Malbec is undoubtedly the star of the region, there are also extensive plantings of Cabernet Sauvignon, Chardonnay, Syrah, Torrontes and Sauvignon Blanc.